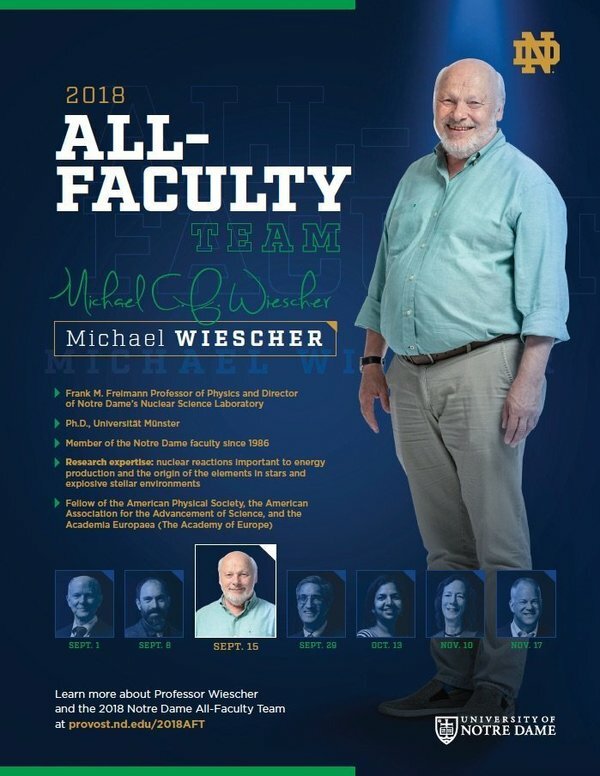 The director of the Nuclear Science Laboratory and Freimann Professor of Physics Michael Wiescher was honored at the September 15 Notre Dame football game as a member of the 2018 All-Faculty Team. Each home game, the Office of the Provost honors a faculty member on the field. Individuals have been chosen from across Notre Dame’s colleges and schools for their excellence in research, teaching, and service to the University. Watch the video introducing Prof. Wiescher here.